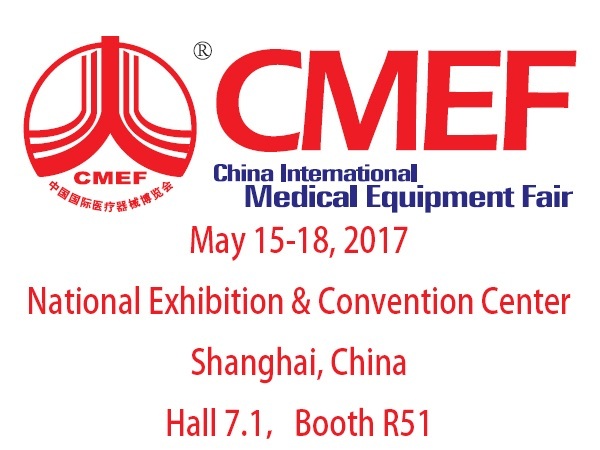 Zowietek Electronics at CMEF 2017 - Zowietek Electronics, Ltd.
China International Medical Equipment Fair(CMEF) will be in Shanghai May 15-18 2017 Annual Meeting! Visit us in Hall7.1 , Booth R51 for live equipment demonstrations and great show specials. Zowietek Electronics will be showcasing the CMEF spring 2017, an affordable procedure Medical grade video recorder ideal for examinations or minor procedures. The MediDVR MD1 features a wide range of video interfaces and types: CVBS YPbPr DVI VGA S-Video HD/3G SDI HDMI an well as 1080i50/60 or 1080p50/60. It can record high-definition crisp1080p video from endoscope, arthroscopy, surgical camera, C-Arms, ultrasound etc. We’re looking forward to seeing you in Shanghai! Be sure to stop by and see us in Hall7.1 , Booth R51 to learn more about new medical equipment solutions and live medical streaming from Zowietek Electronics.